Shaheen Air Airbus A330-200 registration AP-BMI departed from Karachi at 12:30 AM as ferry flight NL-1 apparently to Lahore from where it will depart for Guangzhou to airlift stranded passengers. Airbus A320 registration AP-BMD most recent flight was NL-740 from Riyadh to Islamabad. The A320 had arrived in Riyadh as flight NL-723 from Peshawar. 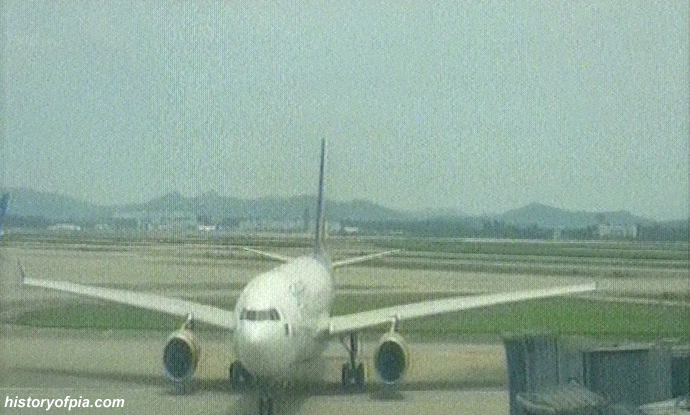 Shaheen Air Airbus A330-200 registration AP-BMI departed from Guangzhou at 1:49 PM as flight NL-891D to Lahore. 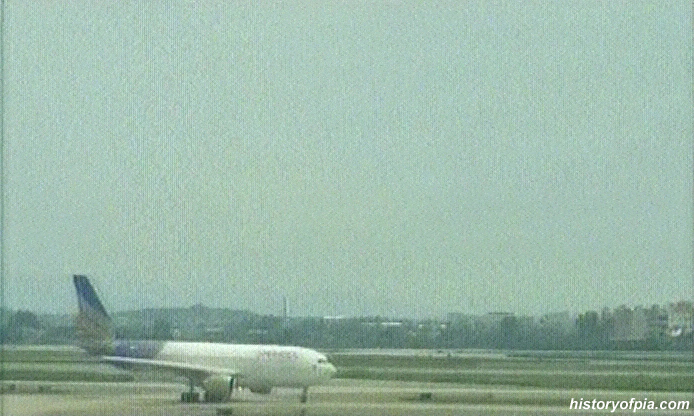 The A330 is carrying 214 passengers including 27 children and 2 infants. 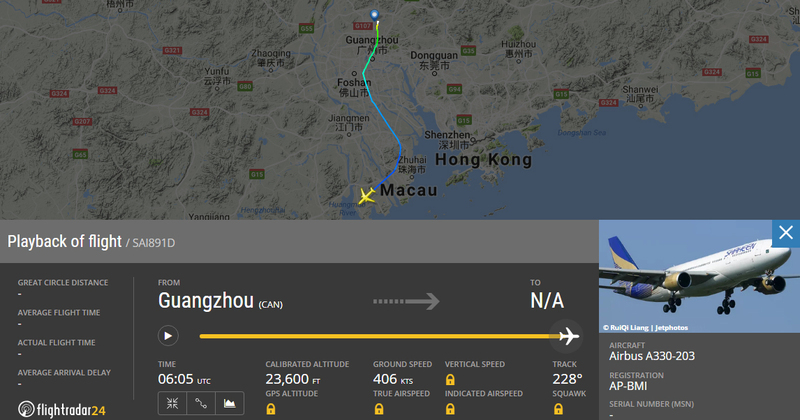 Now there's no stranded passenger of Shaheen Air at Guangzhou. Earlier, AP-BMI had arrived in Lahore at 2:02 AM as flight NL-1 from Karachi. 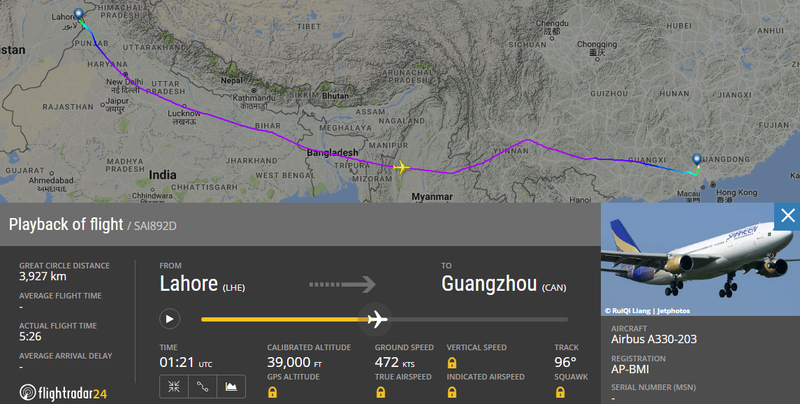 From Lahore, the A330 departed at 3:31 AM as flight NL-892D to Guangzhou where it landed at 11:58 AM. AP-BMI seen when it arrived at Guangzhou Airport. Happy passengers at Guangzhou Baiyun International Airport. Boarding Pass issued to a passenger of Shaheen Air Guangzhou to Lahore Shaheen Air flight NL-891D. Passengers after boarding Shaheen Air Airbus A330-200 (AP-BMI) at Guangzhou Airport. Shaheen Air Airbus A330-200 (AP-BMI) landed at Lahore Airport at 4:17 PM as flight NL-891D from Guangzhou with 214 passengers (185 adults + 27 children + 2 infants) who were stranded there for a number of days. AP-BMI seen in Lahore airspace minutes before landing at Lahore Airport. Information about arrival of Shaheen Air flight NL-891 displayed at Lahore Airport. 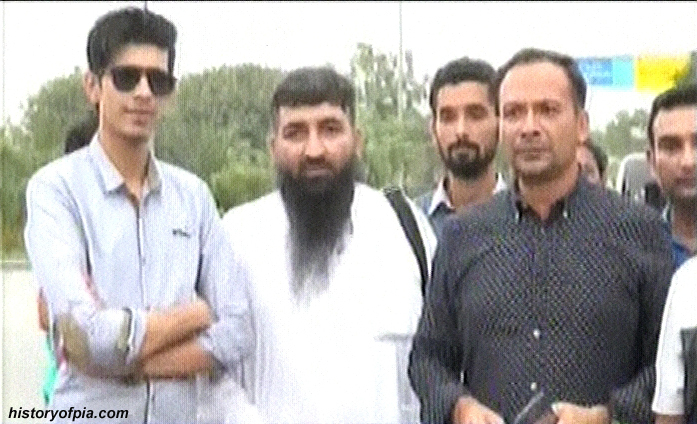 Some of the passengers after landing at Lahore Airport interviewed by news media. The passengers had load of complaints against Shaheen Air. They said only a small quantity of rice was given to them twice-a-day when they were stranded. what happened to AP-BML aircraft? Shaheen Air aircraft seen active on August 6. Airbus A320 registration AP-BLM. Performed flights between Karachi and Quetta & between Quetta and Multan apparently to transport Hajj pilgrims. Airbus A320 registration AP-BMD. Performed flight NL-736 to Lahore from Riyadh where it had arrived as flight NL-739 from Islamabad. Airbus A330-200 registration AP-BMI. 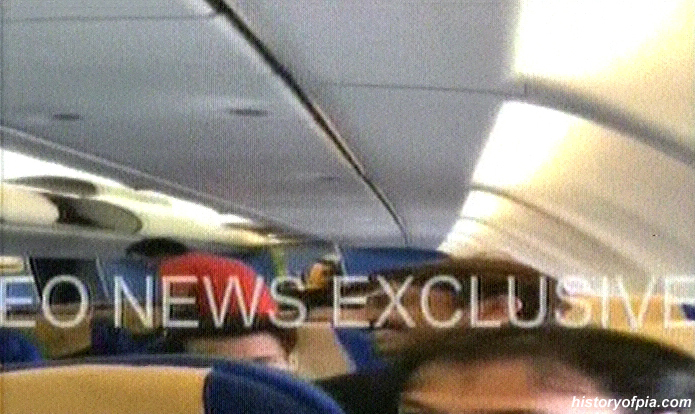 Performed flight NL-891D from Guangzhou to Lahore with airline's passengers who were stranded in China. Today, Shaheen Air officials including airline's CEO appeared before the Supreme Court three-member bench headed by Chief Justice. Shaheen Air said that it's fortunate that passengers had to face inconvenience in China. Supreme Court asked Shaheen Air to pay compensation to the affected passengers. Shaheen Air officials will not be allowed to leave the country without paying compensation to the affected passengers. The court suggested payment of one lac rupees as compensation to each affected passenger. Shaheen Air officials replied that they will consult airline's finance department on compensation. Billions of rupees are due to be paid by Shaheen Air, the court was informed. The Supreme Court told Shaheen Air that it was warned about possible suspension of flight operations over non-payment of dues. Shaheen Air acknowledges dues to be paid by the airline and it will pay all due amount to CAA, the airline officials told the court. The case is being heard at Sindh High Court, Shaheen Air informed the Supreme Court. We have got that case file here, the Supreme Court remarked. The airline's income has stopped due to suspended flight operations, Shaheen Air officials told the court. The airline faces unfair treatment over payment of dues, Shaheen Air officials complained at the court. The Supreme Court remarked that inclusion of Shaheen Air CEO name in ECL till the clearance/payment of dues/compensation can be considered. The court sought report on payment dispute between Shaheen Air and CAA. Court proceedings adjourned till August 20. Shaheen Air aircraft seen active on August 7. Airbus A320 registration AP-BLJ ferried from Karachi to Istanbul Sabiha Gokcen International Airport as flight NL-3. Shaheen Air aircraft seen active on August 8. Airbus A320 registration AP-BLM. Performed flight NL-729 from Lahore to Jeddah. 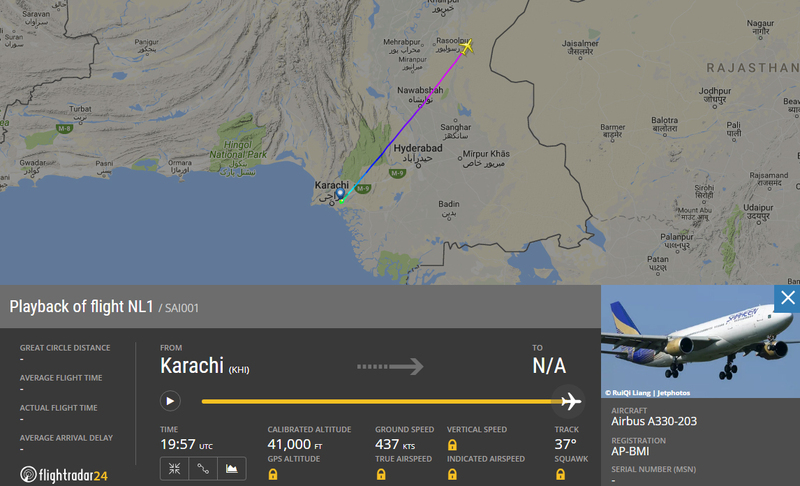 Earlier, the A320 was ferried from Karachi to Lahore as flight NL-5. Airbus A320 registration AP-BMD. Performed flight NL-735 from Lahore to Riyadh. Today, Shaheen Air Airbus A330-200 registration AP-BMI performed Lahore to Guangzhou flight NL-892. Did Pakistan CAA give special permission for operation of this flight also? Or the airline is now allowed to perform flights on this route? Recently, Pakistan CAA had allowed operation of Shaheen Air international flights between Pakistan and Saudi Arabia only. Shaheen Air aircraft seen active on August 9. Airbus A320 registration AP-BMD. Performed Peshawar to Riyadh flight NL-723 & Riyadh to Islamabad flight NL-740. Airbus A330-200 registration AP-BMI. 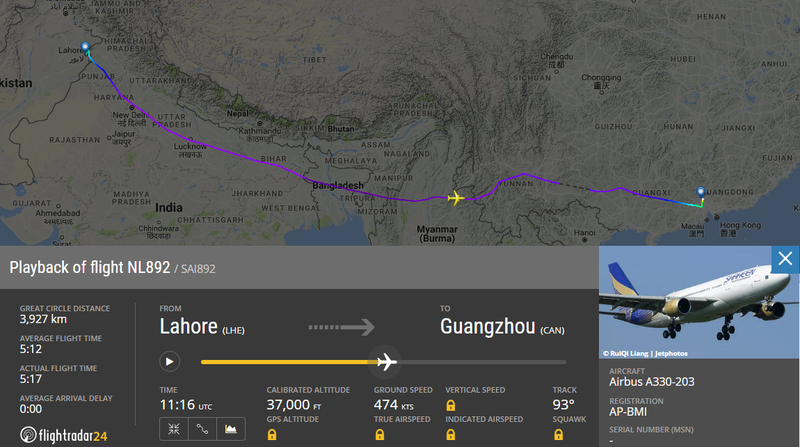 Performed Lahore to Guangzhou flight NL-892 & Guangzhou to Lahore flight NL-891. Shaheen Air aircraft seen active on August 10. Airbus A320 registration AP-BMD. Performed Islamabad to Riyadh flight NL-739 & Riyadh to Lahore flight NL-736. Shaheen Air aircraft seen active on August 11. Airbus A320 registration AP-BLM. Performed Karachi to Jeddah flight NL-751 & Jeddah to Multan flight NL-710 diverted to Karachi. Airbus A320 registration AP-BMD. Performed Lahore to Riyadh flight NL-735 & Riyadh to Peshawar flight NL-724. Shaheen Air aircraft seen active on August 12. Airbus A320 registration AP-BLM. Performed flights between Quetta and Karachi. Airbus A330-200 registration AP-BMI. Performed Lahore to Jeddah flight NL-729, Jeddah to Karachi flight NL-730 and Karachi to Jeddah flight NL-751. Shaheen Air aircraft seen active on August 13. Airbus A320 registration AP-BLM. Performed flights between Karachi and Jeddah. Airbus A320 registration AP-BMD. Performed flights between Islamabad and Jeddah. Airbus A330-200 registration AP-BMI. Performed flights between Lahore and Jeddah.